The NHS and UK Government offers the (human papilloma virus) HPV vaccine free to all girls from the age of 12 up to their 18th birthday. The HPV Vaccine helps protect them against cervical cancer, which is the most common cancer in women under 35 in the UK. In England, girls aged 12 to 13 years are routinely offered the first of HPV vaccination when they’re in school year 8. The second dose of HPV Vaccine is normally offered 6 to 12 months after the first (in school year 8 or year 9). The HPV vaccine is effective at stopping girls getting the types of HPV that cause most cervical cancers. It’s important to have both doses to be protected. As with all medical treatments, drugs and vaccines it is important that parents do thorough research so that they can come to an informed decision as to what is in the best interests of their children. If you have any concerns speak to your child’s GP or the hospital consultant in charge of their care. The information on this page was taken from the NHS and UK Government sites available at the links provided. Home Health UK does not advocate any treatment and is simply trying to provide information. Genital warts – which is the second most common sexually transmitted infection (STI) in England. Abnormal tissue growth and other changes to cells within your cervix – which can sometimes lead to cervical cancer. The government has published a guide to vaccination, click here to read it. 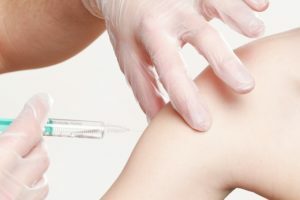 In July 2018 the UK government announced that adolescent boys will be offered the human papilloma virus (HPV) vaccine to protect them from cancer. For more information from the UK Government click here. Home Health UK has health information pages cover a wide variety of topics, click here and search for the information you need. To see more infomration on HPV from the NHS click here. For more infomration on the HPV vaccine from the NHS click here.